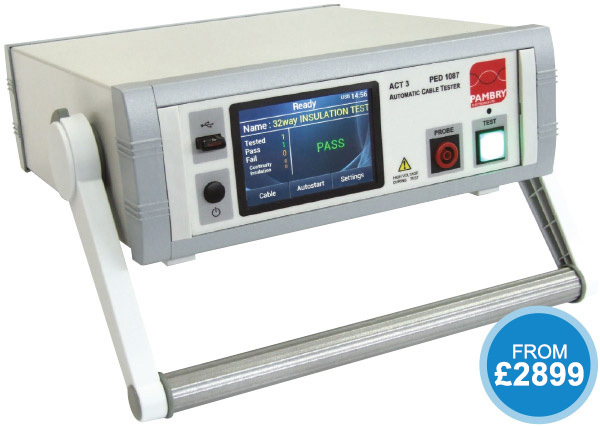 Faster, simpler cable testing from Pambry Electronics. Pambry has developed its own device to efficiently test continuity of multi pinned cables. With its learning feature, this device is perfect to dramatically reduce test time on production lines or for servicing and maintenance of multi core, multi cable industrial applications. Able to learn from ‘gold sample’ or user programmed net list, stored on the USB memory stick as a simple txt file.